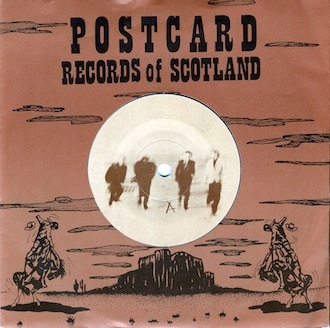 For two brief years at the dawn of the 1980s Josef K provided iconic Scots indie label Postcard Records with its sharpest cutting edge. 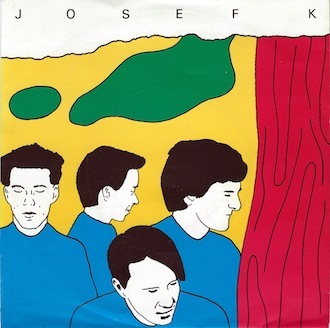 Although outlived - and outsold - by labelmates Orange Juice and Aztec Camera, Josef K perfected a prescient blend of skinny funk and leftfield pop, an artful combination of style and substance that continues to exert an influence out of all proportion to the brevity of their career. Inspired in equal measure by British punk and American artrock bands such as Television, Pere Ubu and The Velvet Underground, Josef K came together in Edinburgh in mid-1978. Initially a three-piece called TV Art, singer Paul Haig, guitarist Malcolm Ross and drummer Ron Torrance were briefly joined by Gary McCormack, later to find fame of another kind with The Exploited. 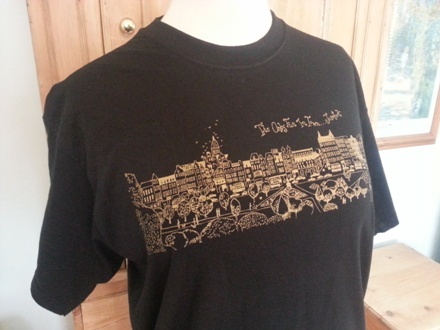 By the time David Weddell took over on bass at the beginning of 1979 the nascent group were gigging regularly, complementing a thriving local scene that also included The Associates, Fire Engines, Scars, Metropak, Visitors and Another Pretty Face. Happily both bands fared better the following night, 21 April, at Teviot Row, a student union venue attached to Edinburgh University. During the summer of 1979 TV Art became Josef K (the tormented protagonist of The Trial by Franz Kafka), and played their first show as such supporting Adam and the Ants at Clouds on 20 July. That same month a second, shorter demo was recorded with the intention of landing a deal with a credible boutique imprint such as Radar, Dindisc or Rough Trade, but failed to stir much interest. Fortunately Steven Daly decided to set up his own DIY label, Absolute, with Chance Meeting as its first - and last - release. 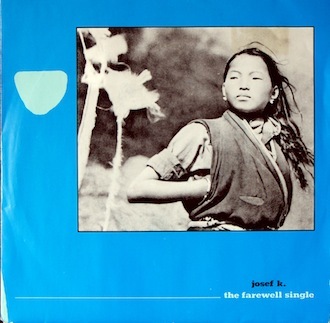 Both sides were lifted straight from the earlier TV Art demo, and although just 1,000 copies were released in November 1979, radio airplay from John Peel finally afforded Josef K a degree of national exposure. Recorded at Castle Sound in April 1980 (during a session shared with Orange Juice), the second Josef K single would be Radio Drill Time, a deft put-down of pop radio which married ringing guitar to a suitably martial beat. 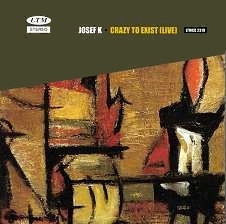 The flipside, Crazy To Exist, was recorded live onto 4-track to save on costs; ditto the hand-crafted wraparound sleeve, a poster-type construct which folded into four. This also doubled as the cover for Blue Boy, though through a series of mishaps - and a shortage of money - the print was delivered in plain black and white, forcing the Postcard collective to colour each and every one by hand. As a result no two examples are alike. One month later Postcard released It's Kinda Funny (Postcard 80-5), a reflective ballad which saw the band rewarded - and burdened - by hyperbolic reviews. In time, intense scrutiny and praise would come to weigh increasingly heavily on a group whose relationship with the media was never easy. 'Josef K interviews are usually a dead loss,' Campbell warned one fanzine writer, whom Ross told simply to 'write what you think, how the music makes you feel. That's what's the most important.' Soon afterwards this collective reticence saw Ross mis-identified as 'Colin' by Paul Morley in their first NME feature in October, and the quartet described (kinda funnily) as 'four shadows in search of a sunny day'. 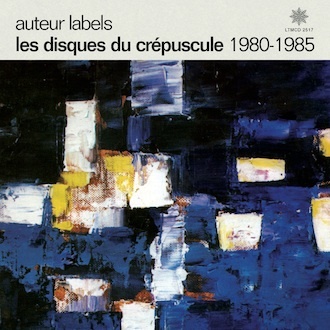 When Crépuscule issued Sorry For Laughing on single in April 1981 it was widely hailed as the group's best offering to date, and established the definitive Jokay style of looping rhythms paired with incisive, angular guitar. Somewhat vexed that their strongest record yet would be released on another label, Horne pressed the band into re-recording Chance Meeting as Postcard 81-5, thus triggering a frantic burst of activity. In March several songs from the shelved debut album were given to the BBC and broadcast as a John Peel session, while the sublime Endless Soul was donated to popular NME cassette compilation C81. 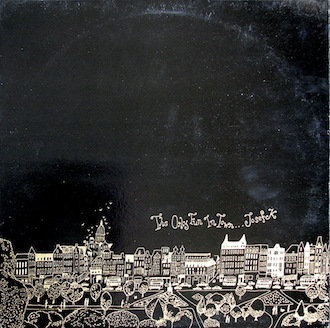 The following month the band returned to Europe for a string of live dates in Belgium and Holland, an excursion which also included a surreal appearance on Belgian TV, and a second stab at recording their debut album, now re-titled The Only Fun In Town. 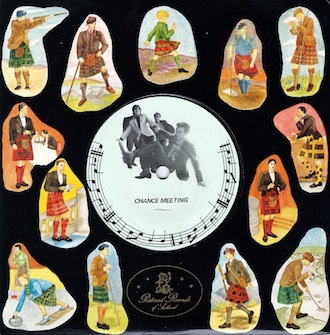 The new version of Chance Meeting arrived in June, elevated by brass flourishes from Ross' schoolboy brother Alastair, and saw Josef K beginning to sound like a bona fide pop band. This new commercial edge was further evidenced by their one proper Peel session, also aired in June, with Heaven Sent and Missionary impressing as two fine slices of taut, crisp punk-funk, partly influenced by Brussels band Marine, who had impressed at Plan K. There were also more London showcases for Edinburgh's fast-rising stars, the first at Heaven (with Bill Nelson), followed by a support with Scars at the Venue. It hardly helped that The Human League were already releasing singles from Dare, the landmark electronic album which (more than any other) signaled the seismic cultural shift from post-punk to new pop. Despite being drenched in frenetic trebly reverb, however, The Only Fun In Town remains a classic genre album, with songs such as Fun n' Frenzy, Heart of Song, Revelation, The Angle, Forever Drone and the several singles sides all blessed with melody, wit and verve to spare. Sleeved in opulent black and gold, Postcard 81-7 endures as a work of dazzling pop art, as revered and revelatory as Unknown Pleasures or Entertainment, and the only album that Horne's label ever got around to releasing. It's an ideal from which Haig, sometimes to his detriment, has never strayed. Whatever internal tensions lay behind the break-up of the band, one of the Great White Hopes of the new decade had self-destructed after just one album, thus fulfilling their own brash prophecy. Not for nothing was a later singles compilation titled Young & Stupid by the group themselves. Post split, Ross' prodigious skills as a guitar slinger lead to stints in Orange Juice and Aztec Camera, and later several solo albums. 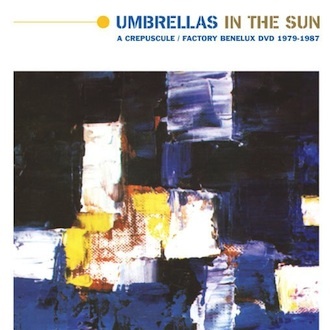 Along with Torrance and Weddell, Ross also contributed to The Happy Family, who issued a highly literate pop album on 4AD in 1982, fronted by Nick Currie, later reincarnated as Momus. Paul Haig issued several excellent albums on major labels throughout the Eighties and Nineties, including Rhythm of Life, The Warp of Pure Fun and Chain, but found mainstream success elusive. 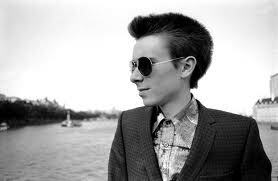 To their eternal credit, the four members of Josef K have resisted all invitations to reform. 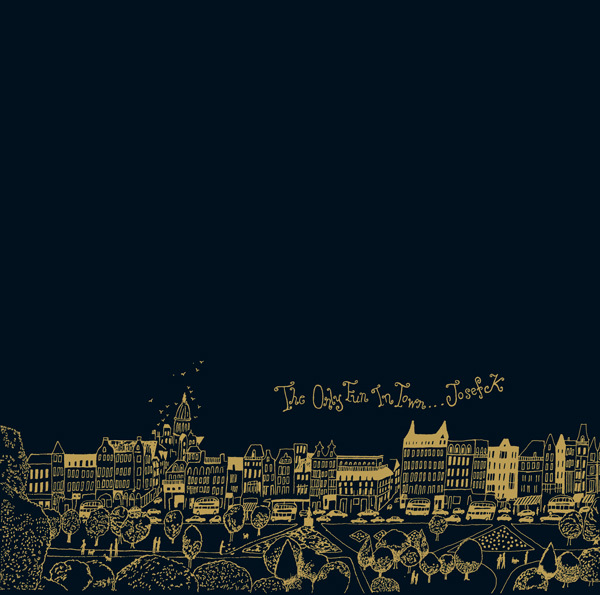 Like Postcard itself, the best band in Edinburgh might have had the lifespan of a mayfly, yet they remain a revered icon of an indie golden age. Despite having been 'appalled' by The Only Fun In Town, Paul Morley went on to commission an appropriately 'rich' cover of Sorry For Laughing for A Secret Wish, the first album by stylish German synth-pop group Propaganda, issued by ZTT in 1985. 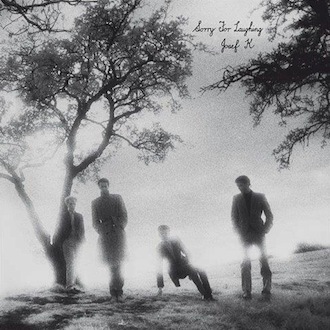 Quite what Trevor Horn would have made of Josef K is anybody's guess, though eighteen years later the producer did a fine job on Dear Catastrophe Waitress by Belle & Sebastian, whose sound and stance owes a clear debt to their Postcard forebears. Other tributes and echoes have followed (The Smiths, early James indiepop, C86, Creation, Sarah), though none more conspicuous than the astonishing chart success of Franz Ferdinand in 2004, proving once again that imitation is the sincerest form of flattery. At least their label Domino partially repaid the debt by issuing a Josef K compilation, Entomology, in 2006. More recent re-releases include Sorry For Laughing on black plastic vinyl, with The TV Art Demos as a bonus CD. 'There's so many pathways that lead to the heart,' Paul Haig wrote way back in 1980, 'the records were letters, the wrong place to start.' 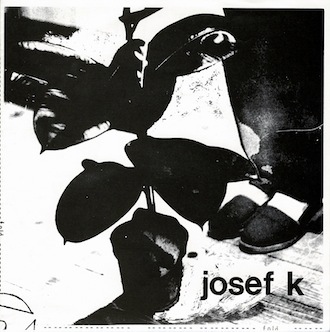 Three decades on, the legendary cancelled debut album by Josef K could hardly sound more right.